This battered Beetle is a former Sun Bug, one of the myriad special editions Volkswagen rolled out throughout its production cycle. Unfortunately wearing a bad repaint over its original gold paint, this Beetle will need lots of love to return to its Sun Bug past. As far as special editions go, these were pretty neat cars – can this example here on eBay be resurrected to shine once more? Unfortunately, you’d have to really want to own a Sun Bug to bring this one back. Rust is prevalent, even in places you wouldn’t expect to find it. The floors are gone and the seller has performed some level of deconstruction. 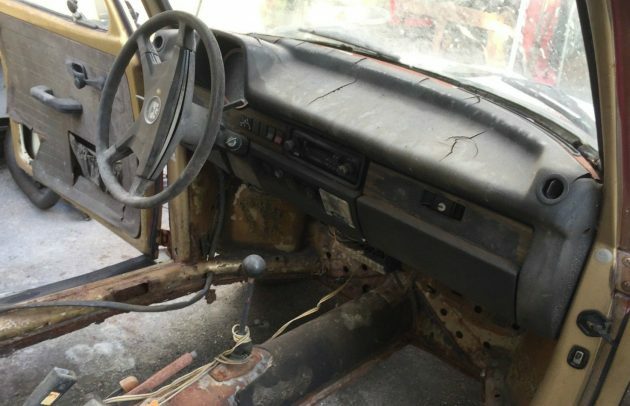 Claiming to have owned the car for many years as a daily driver, he’s already purchased German-made floorpans to replace the rotted out floors, but no other spare parts are mentioned as part of the sale. Sun Bugs were special for their gold paint (seen here in the door jambs) along with a leather-wrapped steering wheel, sport seats, and Lemmerz GT wheels. Super Beetle examples came with rosewood inserts on the dash, but no mention is made as to whether this is a Super Beetle car (the inserts appear long-gone regardless). Other options, like a Sun Bug custom stripe kit along the bottom of the doors, were added by selling dealers. It’s a shame this Sun Bug is so rusty, and we’re certain there’s more hiding beyond what’s already been exposed in the photos. The seller has set the opening bid at $650 with no reserve, which seems fair if you’re the only bidder! 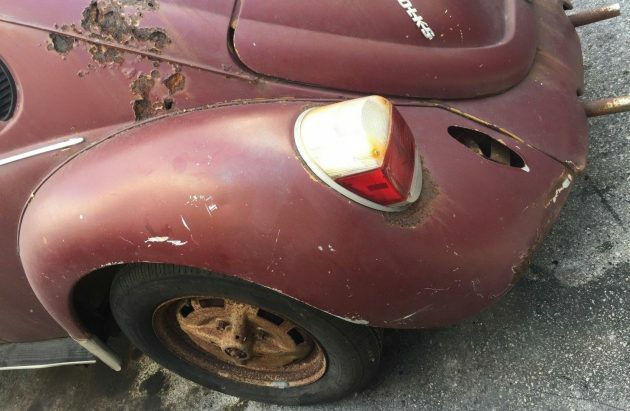 The period Ron Jon surf shop sticker and this Beetle’s Florida location make it seem likely this was once a shaggin’ surfer ride; now, it’s a heartbeat away from the scrap heap unless a passionate Sun Bug aficionado comes along. The bull-nose hood makes it a super beetle. Thank you. Pretty surprised to to even see that questioned. This is a bug that’ll best be parted out and squashed. Also, the curved windshield is a feature of super beetles, whereas the straight windshield is for beetles only. First batch of Super Beetles. These had the big Front end with struts and a flat windscreen. 1972 Also. The elephant’s foot tail lights, curved dash, and curved windshield were introduced on the Supers for 1973. 1973 Standard Beetles also got the huge tail lights but not the windscreen and dash treatment. Knowing that Chip Foos would never take this on for one of his free makeover, it is worth absolutely nothing. Were it the other kind of Bug (Bugatti), maybe, but not a cancered Super Beetle. I think it’s too far gone, even at that price. 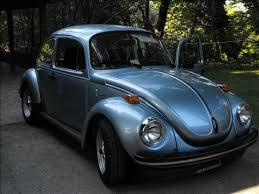 Yep, Super Beetles had curved windshields and Strut front suspension, was a real disappointment to real VW people. Seemed like the beginning of the end to me. And ironically, the Super Beetle made it a decent car to drive. The rust in the C-pillars makes this a total deal killer. Later Super Beetles aren’t nearly as desirable as the earlier models (unless the top goes down) and there are still quite a few of them around. Floor rot and rusty heater channels are common and not that tough to repair, but this car has rust-thru in uncommon places and the repair of this is prohibitive when you consider that cleaner examples are still available. I was going to post that as well. Rot in the c-pillars is the kiss of death for a Bug. Get some parts off it and scrap it. Unfortunate since the SunBug is a desirable special edition. Let me start out my comments with “SLUG BUG”. There I feel better now, my 8 and 10 year old Grandson’s have picked up on that old road game. Having owned and rebuilt a few of these Bugs, I would say that this one is not that far gone, yes the floor and heater tubes are gone, but a easy repair with a good replacement, which are easy to get even these days. 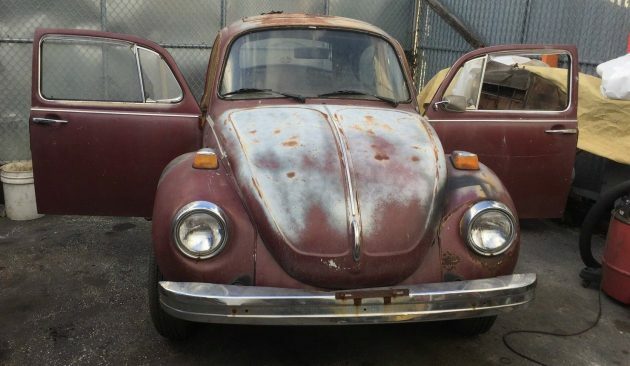 Not 150 miles from my home is a grave yard of Bugs, and I have bought panel sections from them before, and the ones they didn’t have there is a group of VW salvage yards and they keep in touch with each other. Even though I have not owned one for about 10 years, I bet in the hands of the right person this little bug could be back on the road. 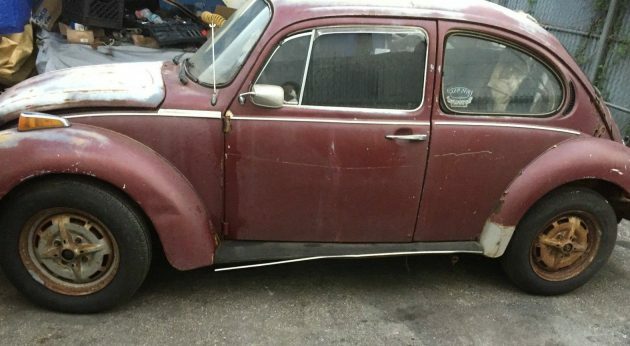 I have attached a picture of my 73 Super Beetle, sometime wish I have never sold it, it was a cool little ride. The day I found it was sitting in a shed that had a tree fall on it, we had to take the shed apart to get it out, of course after we removed the tree, I had to replace the front hood and left fender, but other than that it was in ok shape. I drove that crazy car for well over 2 years before I ever painted it, I called it my tri color bug, because the hood and fender that I replaced were not the same color, so it looked funky for a bit. In my area of Missouri, there is St Joe State Park, which has a huge ORV area, and you can still find a couple of Baja Bugs running around up there. Big Mike, that looks like a SportsBug, truly the coolest of Super Beetles. Always liked the yellow with black and red stripes. Love all Volkswagen Beetles. Including this one. Nov 20. eBay expired. No bids at all. Kinda like a restaurant with no cars in the parking lot. Tell us something?